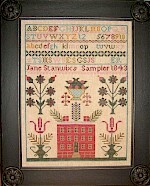 Samplers Revisited specializes in historical antique reproduction needlework charts for the discerning needleworker. The designs cover all levels of stitching excellence. Many of these designs were stitched by girls that did not have the finest teachers, linens, or threads. Samplers Revisited believes that these designs should be passed onto future generations along with the fancier charts of the well-educated and wealthy. Samplers Revisited also designs original works with Beachy themes and other fun charts! All charts from Samplers Revisited come keyed to DMC (including the ones that the models are stitched in silks) for your convenience. Be sure and check out "News" for Upcoming Events and our latest releases! 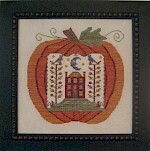 NOTE TO Retailers: Samplers Revisited is now only distributed by Stitching Pretty Presents. Please contact them at micheleink@aol.com or 301.604.0808 for all your orders. If that does not work, contact us directly at pattyyergey@gmail.com. Thanks!